Your logo: it’s one of the most important and simplest marketing tools you have at your disposal. You want your customers to be instantly reminded of you when they see it, so you put it everywhere. It’s on your building, business card, stationery; even your email signature flies the company colors. However, with the internet’s rise to power as a marketing tool, your logo has an interesting new dimension added to it: animation. Look at almost any YouTube video associated with almost any organization, and you’ll find an animated logo. It’s a great way to make your company emblem more visually interesting, and make it fit better within a marketing video. While there aren’t too many rules when it comes to animating your logo, there are definitely some things to consider. Most of the time, it’s better to keep things simple. However, if you think you can create an animation for your logo that’s more on the complex side, go for it. If it works, your audience will remember it. This one is really just preference. Do you want your logo in the middle of the screen, in the corner, or offset by the full name of your company? Maybe it appears in the center, and then slides to the left or right, revealing contact info for your office. If your logo isn’t broken, don’t fix it. But if you’ve been looking for an opportunity to change the coloring of your logo, adding it to a video is the perfect opportunity. You could research popular color combinations yourself, or you could talk to a professional designer or colorist to get their expert opinion. Attention spans are shorter than ever, so you need to grab your audience’s attention within the first ten seconds of the video. If you can do it even quicker than that, great! Check out this short video for the VideoExperts logo at the bottom for some inspiration. Need a hand getting started on your production? 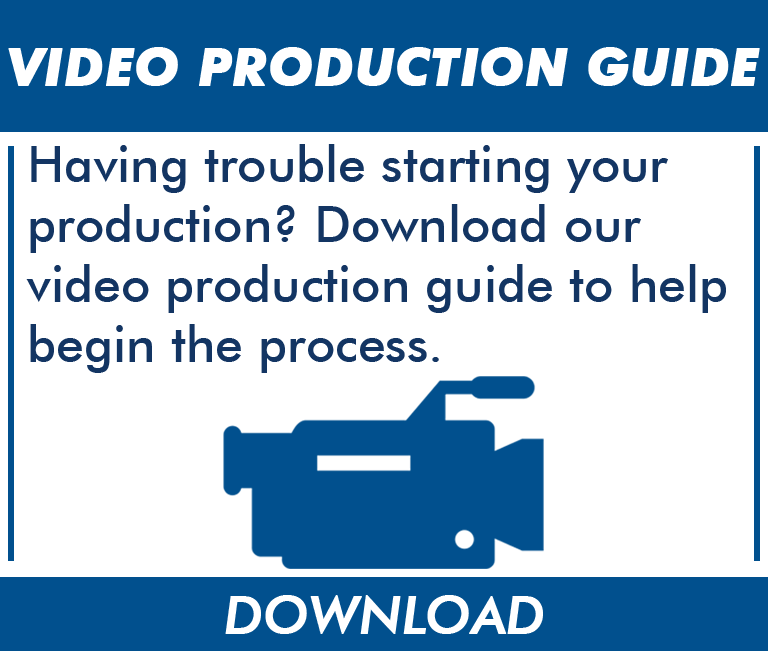 Download our Video Production Guide for some inspiration. No matter the size and type of your production, VideoExperts can help. Contact us to get started today!